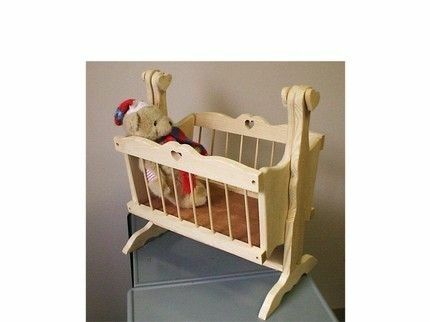 Any little girl would love this adorable doll cradle. A place for her best friend to go to sleep when she does. This cradle swings and has cute hearts cut into it and is left untouched by paint so it can be any color (or colors) she wants. Made out of pine wood in the USA.